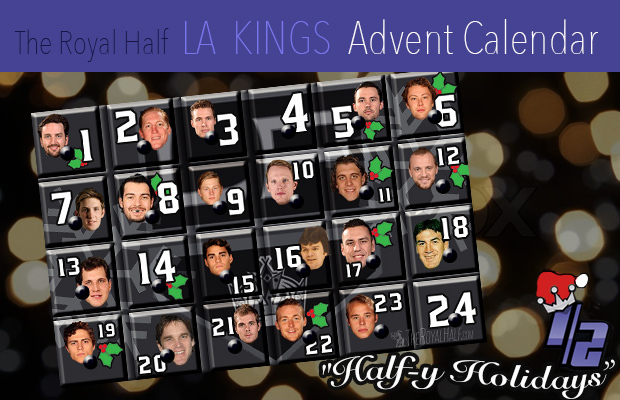 Join us here at the Royal Half throughout the month of December as we bring you a Los Angeles Kings Advent Calendar. No one should expect to get any chocolate from Team TRH, rather, we’re offering you a daily tidbit of Kings history each morning instead of sweets, even better than the real thing, right? Full disclosure, I am thirty years old and my mother still buys my wife and I Advent calendars each year. 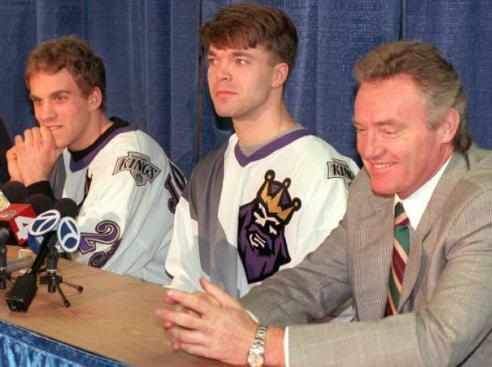 The Kings have been victimizing Toronto fans well before the infamous high stick from 1993. On this day in 1988, Bernie Nicholls set a franchise record when he scored 2 goals and picked up 6 assists in a 9-3 win over the Leafs. 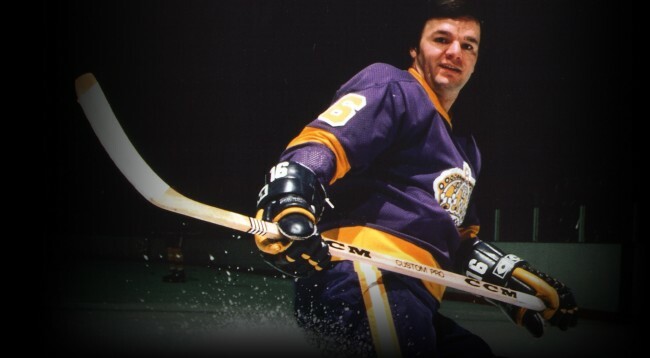 On this day in Kings history, in 1978, Marcel Dionne set, what was then, a club record when he scored a goal in his sixth straight game. Dionne is the Kings all-time leading scorer with 550 goals and 575 assists. He was inducted into the Hockey Hall of Fame in 1992 and sits sixth in league scoring with a whopping 1,771 points. 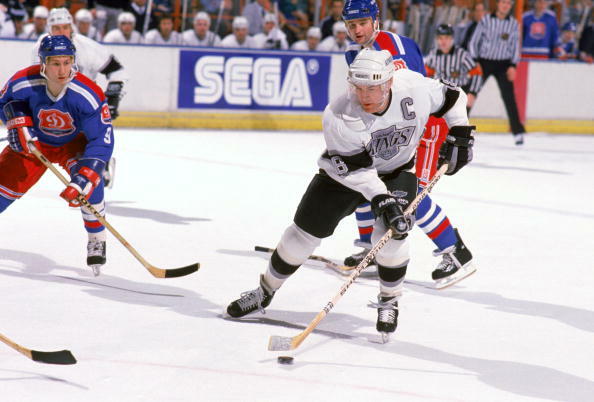 On this day in 1992 in Kings history, L.A. set a franchise record when they picked up their 11th straight home win. The streak continued to twelve when they beat Hartford Whalers two nights later, but came to an end on December 8th when they tied the Montreal Canadiens 5-5. On this day in 1955, Kings great Dave Taylor was born in Levack, Ontario. Located 50 minutes north of Sudbury, Levack certainly afforded Taylor a rugged upbringing. It was rumored that he carved his first hockey stick from a fallen tree and wrestled bears as part of his offseason training regimen. 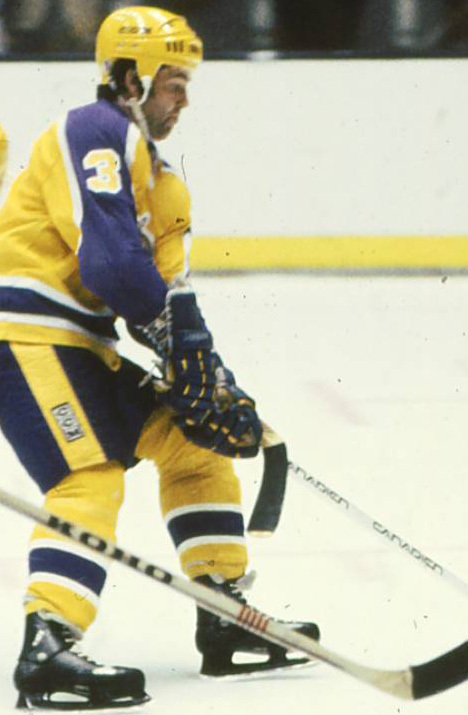 After escaping from the Northern Ontario wilderness, Los Angeles selected him 210th overall in 1975 draft and he went on to spend his entire career with the team. Even after retiring in 1994, Taylor still maintained a strong connection with the organization, serving as the club’s general manager from 1997 to 2006. The Kings retired his No. 18 jersey in 1995 and two years later he was inducted into the franchise’s Hall of Fame. Cheers to Dave Taylor, happy 60th birthday! On this day in 1992, Paul Coffey picked up 4 assists in a 7-3 win over Hartford. Coffey’s helpers were an integral part of the victory, which turned out to be the Kings twelfth straight win at home, which set a new franchise record. This eclipsed the previous benchmark set against the Penguins two nights earlier. As noted above, the streak would come to end on December 8th in a 5-5 tie against Montreal. Prior to that game, Los Angeles had been unbeaten at home going back to October 10th of that season. 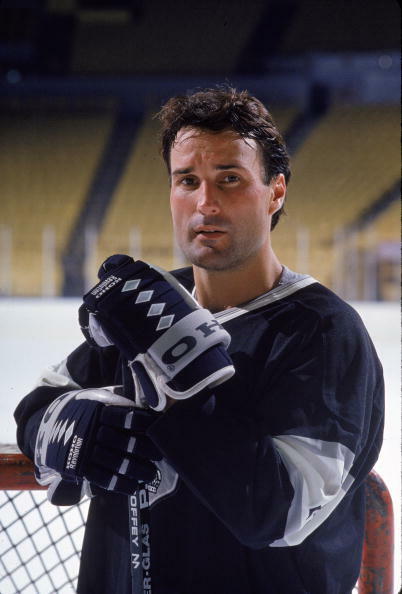 On this day in 1989, Larry Robinson reached two career milestones when he scored his 200th goal and 900th point as the Kings beat the Canucks 5-4. As a testament to his longevity, he was the first player to notch 200 goals without ever recording a twenty goal season. Robinson finished his NHL playing career in Los Angeles after spending seventeen years in Montreal, where he won six Stanley Cups. In the same year that he was inducted into the Hockey Hall of Fame (1995), Robinson returned to the Kings organization to serve as the head coach. Here’s a highlight from his tenure. We’re opening up another window on a milestone moment in Kings history. 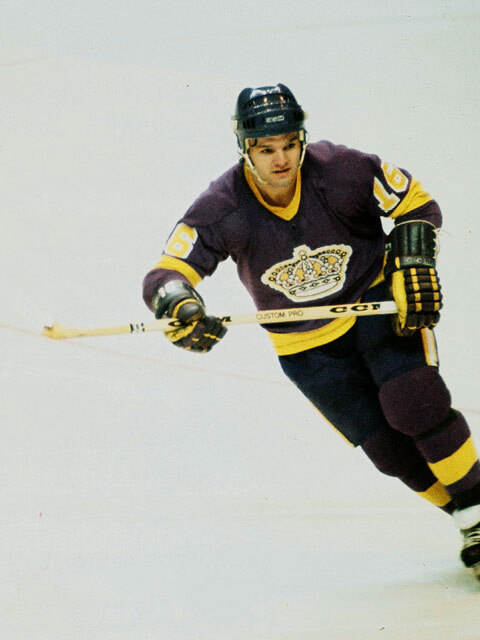 On this day in 1985, in a 3-2 win over the Jets, Marcel Dionne scored his 500th goal as a King, becoming the first player in franchise history to reach this impressive benchmark. Dionne’s 550 goals as a member of the Kings ranks second all-time, just seven shy of leader Luc Robitaille. Speaking of goals, Milan Lucic now has 3 goals in the Royal Half 2015 LA Kings Advent Calendar era. On this day in 1993, Jari Kurri made it into the record books when he scored his 1223rd career point in a 6-5 loss to the Panthers. He had an impressive game with 1 goal and 2 assists, but it was the fact that his performance vaulted him ahead of Peter Stastny to become the highest scoring European born player in NHL history, that made the game so special. Since retiring from the NHL in 1998 with 601 goals and 797 assists, Kurri has been surpassed by Jaromir Jagr and Teemu Selanne as the league’s all-time scoring leader from Europe, but hey, if that’s the company you keep, it’s safe to say you left your mark. In 1986 Luc Robitaille was a rookie. Let that sink in for a minute. 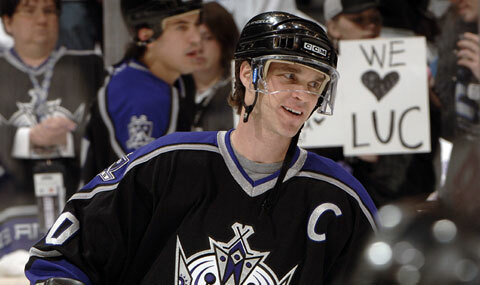 On this day, twenty-nine years ago, he scored his first NHL hat trick as the Kings handily beat the Islanders 7-2. Robitaille went on to score 557 goals and added twelve more hat tricks to his resume in Los Angeles. He is the all-time franchise leader in both categories and it is arguable that his hat trick record is safe, as the only active Kings player with 3 or more hat tricks is none other than Dustin Brown. 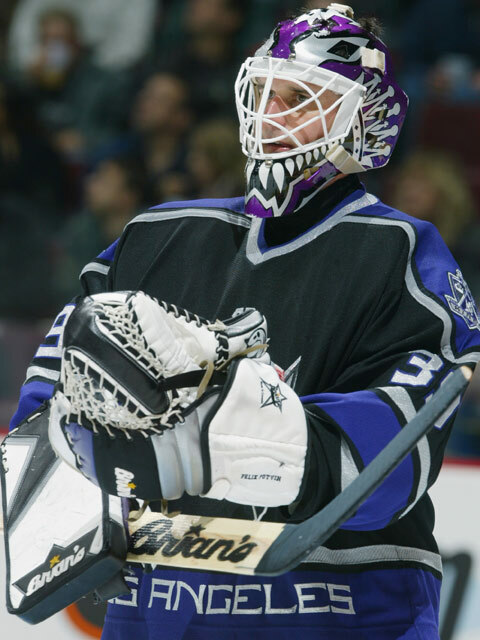 On this day in 2002, Felix Potvin picked up his 14th and final shutout as a member of the Los Angeles Kings. He currently sits fourth in all-time franchise shutouts behind Jonathan Quick (38), Rogie Vachon (32), and Jamie Storr (16). 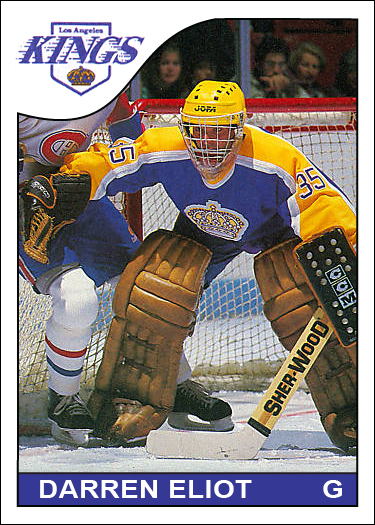 While Leafs fans may claim Potvin as their own – he was drafted 32nd overall by the team in 1990 – it is worth noting that 44% of Potvin’s career shutouts came during his time with the Kings. In fact, he picked up two more shutouts with Los Angeles than with Toronto, a feat he accomplished in 233 less games. Today in Kings history, in 1973, rookie Phil Hoene scored his first NHL goal on a penalty shot in a game against the Minnesota North Stars. By notching his first tally in such fashion, Hoene became the second player in league history to score his first goal on a penalty shot (the first was Ralph Bowman on 13 November 1934). In the last forty-two years it has only occurred four more times, with two of them happening in the last ten years. Jay McClement did it in his rookie season with the Blues on 11 October 2005 and, more recently, Andrew Miller pulled it off last season with the Oilers. 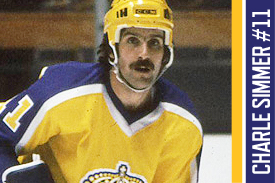 On this day in 1981, Ian Turnbull became the first blueliner in LA Kings history to score a hat trick. Turnbull actually ended up scoring four goals that game, in a 7-5 win over Vancouver. Most will know Turnbull from his time with the Leafs and, in particular, a memorable 5-goal performance against the Red Wings on 2 February 1977. Toronto won that game 9-1 and Turnbull is still the only NHL defenseman to ever score five goals in a game. More impressive is that he accomplished the feat with just five shots, talk about a great shooting percentage! On this day in 1986, Jay Wells suited up for his 500th game in a Kings uniform, becoming the first defenseman in franchise history to reach the milestone. Less than five years earlier, Wells was part of the historic playoff game between the Kings and the Oilers. Heading into the third period, Los Angeles was down 5-0, but Wells opened up the scoring and the Kings rallied back to win the game 6-5 in overtime. Known as the Miracle on Manchester, it remains the largest comeback in NHL playoff history. Thirty-three years ago today, Marcel Dionne scored his 500th career goal in a 7-2 loss against Washington. At the time, Dionne was just the ninth player in NHL history to reach the 500 goal mark. Currently, forty-two players have reached the benchmark and active players such as Marian Hoss (491) and Alex Ovechkin (489) should be joining the club later this season. At this point we should probably just rename this to the Royal Half Marcel Dionne calendar, as it seems he was excelled in December throughout his career. On this day in 1984, Dionne reached another goal scoring milestone when he scored his 600th goal, becoming the fourth player in NHL history to reach the mark. As this will be our last Dionne entry for the month, I leave you with another vintage CCM commercial. Profitez bien de ceci. On this day in 2003, Noah Clarke made his debut for the Kings and picked up an assist in a 4-2 win over the Oilers. Clarke’s premier was significant because it marked the first time that a California native suited up for the Kings. 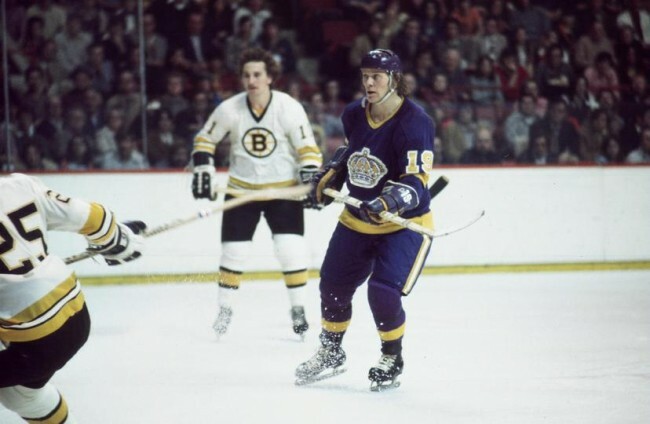 Born in Laverne, but raised in Torrance, Clarke played 20 games for Los Angeles and remains the only California born player to score a goal in a Kings uniform. On this day in 1986, goaltender Darren Eliot picked up his only NHL shutout in a victory at home over the Penguins. Following his twenty-six save performance, Elliot reportedly said, “it’s great. 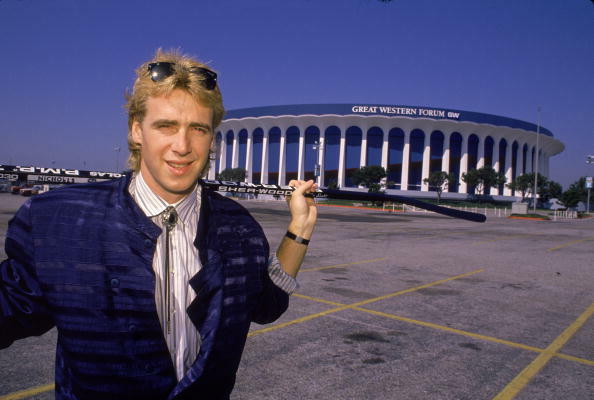 Now I can say I have at least one.” Drafted by the Kings in the 1980 NHL Entry Draft, Elliot spent the majority of his career in Los Angeles before signing in Detroit as a free agent in 1987. He also had the privilege of representing Team Canada at the 1984 Winter Olympics in Sarajevo. On this day in 2003, Pete Demers was behind the bench for his 2500th consecutive game as the Kings trainer. He logged another 132 consecutive games before retiring from the organization after the 2005-06 season. Demers had been with the Kings since 1971 when he started as an athletic trainer. 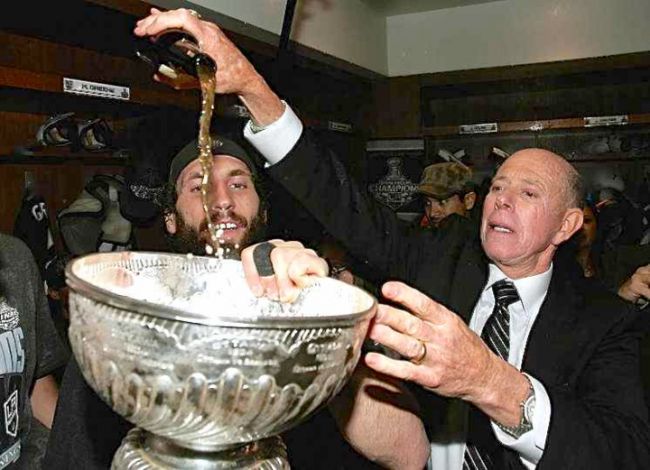 In what is perhaps the best Stanley Cup consumption story, Demers held onto an unopened bottle of Budweiser from the Kings Stanley Cup Final loss at the Montreal Forum in 1993. When Los Angeles first won it all in 2012, Demers had more than enough reason to fish it out of his garage and pour it into Lord Stanley’s chalice. I’m sure warm and expired beer never tasted any sweeter. 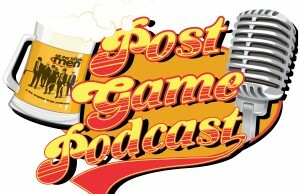 For more on that memorable championship chug, check out Rich Hammond’s story with Demers. Thirty-six years go today, Charlie Simmer tied a modern NHL record when he scored a goal in his tenth consecutive game. Later that month, he extended the streak to thirteen games, setting an NHL and Kings franchise record. During his tenure with Los Angeles, Simmer was a fixture on the Triple Crown line and was particularly devastating on the power play. In 384 career games with the Kings, Simmer scored 222 goals and registered two back-to-back 56 goal seasons in 1979-80 and 1980-81. On this day in 1986, the Kings and Oilers skated to an 8-8 draw in what was the highest tie score in NHL history. It was also a great comeback game for Los Angeles, who rallied back from a four goal deficit in the final ten minutes to even the contest. 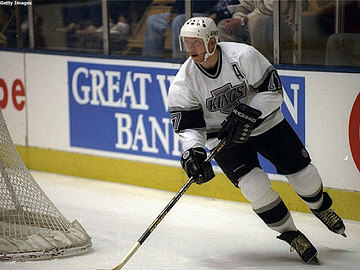 Bernie Nicholls had a two goal night for the Kings and on the other side, Wayne Gretzky scored two goals and three assists and extended his point streak to nineteen games. We’ll leave you with this great line from Julie Cart’s 1986 Los Angeles Times recap article: “Behold the transformation Saturday night as the 98-pound weaklings turned Charles Atlas and sprayed a good portion of beach into the smug faces of the Edmonton Oilers.” Amazing. On this day in 1977, the Kings trounced the North Stars 8-1. Los Angeles jumped out to an early 3-0 lead in the first period and were powered by an impressive four goal performance from Syl Apps Jr., that put the game out of reach for Minnesota. This was also the game where Butch Goring received a two-minute slashing penalty, his only infraction for the entire season. He ended up winning the Lady Byng Memorial Trophy in the offseason, which is only surprising because someone with the nickname “Butch” isn’t exactly who you would think you to personify “gentlemanly conduct,” but that’s exactly what you got with Goring. Over the course of his 1107 game NHL career, he only racked up 102 penalty minutes. On this day in 1997, rookie Jamie Storr picked up his first NHL shutout as the Kings blanked the Blackhawks 1-0 on the road. Storr’s thirty-two saves allowed the Kings to pick up their fifteenth win of the season. A highly touted goaltending prospect, Storr was drafted seventh overall by Los Angeles in the 1994 NHL Entry Draft. With the exception of one season in Carolina, Storr spent his entire NHL career with the Kings. He is fifth on the all-time franchise wins (85) list and third for shutouts (16). In 2014 he was inducted into his hometown of Brampton’s Sports Hall of Fame. Forty-eight years ago today marked an historic night of shutouts for the Kings. Wayne Rutledge picked up his first career NHL shutout, but more importantly, it was also the first shutout in franchise history. 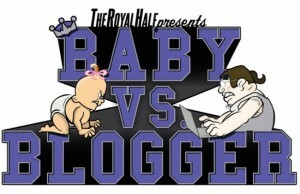 To wrap it all up with a nice bow, the milestone happened at home as the Kings held the Blues scoreless in a 4-0 victory. Los Angeles picked up three more shutouts in their inaugural season, with Rutledge getting another on February 12th as the Kings blanked the Maple Leafs 2-0. 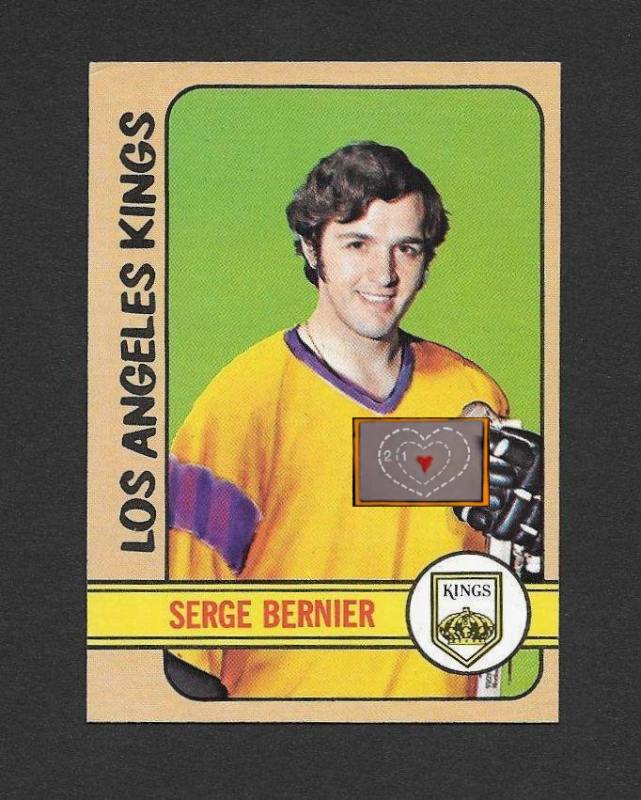 On Christmas Eve in 1972, Serge Bernier’s heart grew three sizes that day as he scored four goals and powered the Kings to a 5-3 victory over the California Golden Seals. Most didn’t see Bernier’s offensive performance in person as only 976 people were in attendance, evidently too busy preparing for Santa’s arrival. The game marked the last NHL games played on Christmas Eve, a festive practice that the league had been working towards when it phased out Christmas matches for the first time that same season. The Kings had only played one other Christmas Eve game, a 8-1 to the Maple Leafs in 1969. There’s still more Kings history to be had in our final entry, but I don’t want us to forget the true meaning this day…the birth of Santa. The Kings have only played three Christmas games in franchise history. Unfortunately, Los Angeles went 0-3 in those matchups and were probably delighted when the league amended the holiday schedule in 1971, ending the Christmas game tradition. 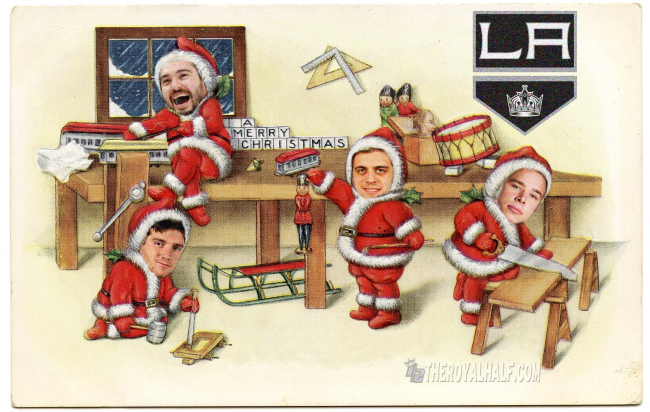 Thanks again for following the LA Kings Advent Calendar all month, on behalf of the Royal Half, I wish you all a Merry Christmas and a Happy New Year. Have a frank and productive holiday! Is Mike a Kings fan? Does Santa Claus live in the North Pole? !